ICG - Do we still need traditional banking? Do we still need traditional banks? Every year we witness banks being penalised and fined by ECB and other industry regulators. The biggest players get the biggest fines. The smaller ones get shut down. As a result, banks are focused on KYC/AML stuff and being good for regulators, rather than being good for a customer. The customer is no longer a king. And most of us are no longer welcomed at the high-street banks. First, you are treated as a potential criminal (well, some of you are, it’s understood), yet they will not try to hide this attitude. So if you even won’t get accounts opened, explained with “bank’s absolute discretion to refuse applications”. Without any further explanation. And then if they open you an account, you are not safe anymore. Some of my E-Commerce clients still struggle getting guaranteed compensation from the certain liquidated bank, that was a TOP3 bank a few years ago. I still remember times, when banks were well-minded and appreciated you giving them your business. This time is gone. EMI is a legal person that has been granted authorisation (by the local financial regulator) to issue electronic money. There are different types and scopes of authorisation, but we will not go into details since it doesn’t make much difference for a client. Today we’ll only cover some services that can serve as a real alternative for daily banking needs. First, ask yourself a question, how do you normally use personal banking. Let’s look at each service and try to find a potential online alternative. While there are a lot of money transfer services available today, we cannot consider MoneyGram or WesternUnion a real alternative to the transfer services offered by banks. As a client, I need a unique account for incoming and outgoing payments. The faster these payments are executed the better. And I don’t want to ask my client, friend or a relative to sign up for some service like Payoneer or TransferWise only to send me the funds. I need something stable and universal. As I live and I am primarily working in Europe, SEPA account is perfect for me. With SEPA INST scheme used by many European banks today, I can send and receive payments 24/7 for a tiny fee of 0.15 EUR. SWIFT is also good. In this case, I would need unique IBAN. There are a few services we’ve tested so far and we found Revolut and Paysera the best for daily banking. Loyalty programmes, cash back, rewards. 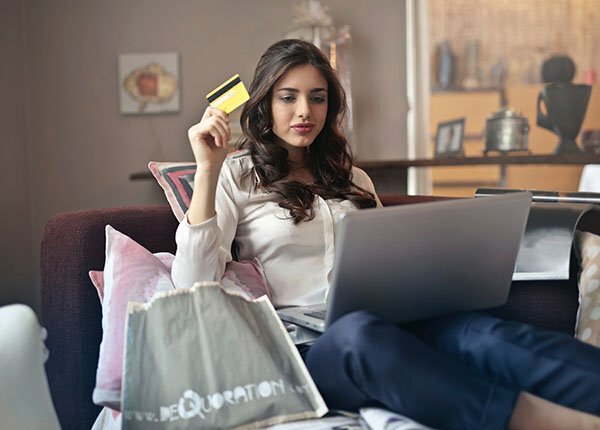 While most of the online banking cards are “Prepaid” Visa or Mastercard – meaning it’s not offering you overdraft or any other credit options, you can easily use it for your everyday needs: payments online, ATM withdrawals, hotel and flight booking, paying in stores. Some of our clients use these cards on a daily basis and we’ve asked them to share their experience. Only a few of them have mentioned that the card was declined on some websites. Normally this happens when the card does not support 3D Secure and the payment processor requires this type of authorisation. Payoneer Prepaid Mastercard does not support 3DS at the moment. Yet Paysera Prepaid Visa solves the problem and we had no issues reported by now. While Paysera Visa has proven its acceptability almost everywhere, Payoneer has its advantages in terms of daily ATM withdrawal limits. Paysera only allows 600 EUR daily withdrawal (2.50 EUR fee + currency conversion rate, if applicable). Payoneer allows $5000 daily ATM withdrawal (2.50 EUR fee + currency conversion rate, if applicable). The downside of both cards is that they do not provide any cashback or loyalty program. But let’s discuss it in the next section. Spoiler: Most of the best card perks are not FREE and they are included in your card administration fees. Most of the high-street banks offer privileges and loyalty programs with their credit cards. However, these perks are not free and normally covered either directly or indirectly by the customer. For example, your bank offers Priority Pass card that gives you access to airport business lounges. The offer is available for Visa Gold or Platinum holders. The administration fees of the Platinum card with good perks start at 600 EUR a year. While the price for Priority Pass card itself starts at 89 EUR and you can order it yourself. Some high-street banks offer attractive, at first glance, loyalty programs for frequent travellers and shoppers. You can even find co-branded airline cards offering miles per each euro spent. Sounds great, but normally you have to spend a lot on a regular basis to claim benefits like free flights and accommodation, unless you are a client of some big American bank, like Chase. Still, you can take control and go in a smarter direction by individually applying for the programs and cash back offers from the airlines, services and stores you happen to be a client for. Or you can join your favourite and most used airline’s loyalty program. Normally they’ll give you a chance to earn miles by shopping at famous stores including Amazon, Aliexpress, Asos, Yoox and many others. We are also launching a loyalty program featuring: ASOS, Yoox, Amazon, Aliexpress, Booking.com, Hotels.com, SIXT and other big shopping and travel related sites. Stay tuned to join for the highest cashback rate straight after release! Some cards also offer loyalty programs like Visa Luxury Hotel Collection that are normally used by the millionaire of us. That’s my “favourite” service provided by the banks. The average interest rate you’ll find by doing some google research would be 5.2-6.8%, however, I suggest you shouldn’t expect anything higher than 3%. With an average inflation rate of 1.9-2.2%, you’ll break even in the best scenario. Period. There are way smarter ways to use your free cash than freezing it in a bank deposit. Still, if you don’t want to risk, there’s a good story about Warren Buffet winning $1M in a bet that a simple investment in S&P 500 index would give better profits for a passive investor. In 2007, Warren Buffett bet a million dollars that an index fund would outperform a collection of hedge funds over the course of 10 years. Over the course of the bet, the S&P 500 index fund returned 7.1% compounded annually, significantly more than the basket of funds selected by an asset manager at Protégé Partners. Warren knows things! That’s the only topic where I have to admit, you won’t find a better alternative than the bank. Especially if you go for a mortgage in the UK. That’s basically it. We will keep an eye on the industry and share all our findings with you. Sign up for updates using the form below!